Every man with curly hair knows the struggle is real. 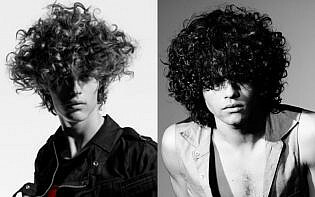 This hair type can be unruly and hard to tame most of the time. 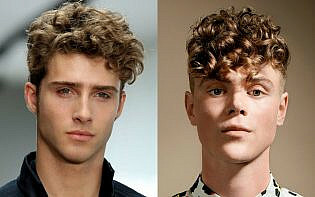 While some may think that curls should be shaved off or may not work for their face shape, we have got you covered with 10 statement hairstyles for men with curly hair that will change the way you channel your wavy locks. The undercut may be military-inspired, but done with curls and it is an entirely different look. Curls add a bit more dimension and fullness to this favourite hairstyle. 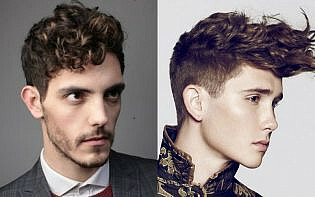 Channelling your curls in an undercut is a great approach to tame your locks for a few reasons. Particularly for gentlemen with unruly curls, an undercut boasts shorter sides, meaning the only curls you will need to manage are the ones up top. Further, an undercut looks great with different lengths, so you are free to go for any length that suits your individual face shape. 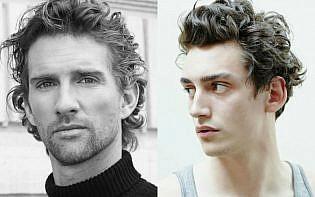 Well suited for casual days, beachy curls rely on much more texture than a typical glossy ‘do. Beachy curls are also a great statement hairstyle for the gent who isn’t too highly strung when it comes to styling because it allows you more freedom when it comes to drying your hair and applying product. Yep, that’s right, beachy curls are best done messy. That being said, achieving messier hairstyles can at times be more difficult to perfect. Our tip is to find a great sea salt hairspray for carefree styling when your curls get unmanageable. 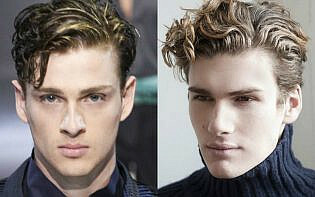 We are talking about statement hairstyles for men with curly hair and slicked-back curls are certainly attention grabbing. Matte or glossy, utilise a product that will complement your hair’s natural texture and will be long-lasting. Also, be conscious of your hair length and ensure that a slicked back styling will suit your face shape. 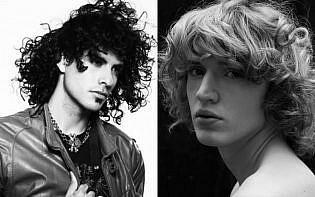 Men with longer curls will be afforded more versatility when slicking back their hair, as they can switch up how they part their hair and the way the curls will sit.